Another event that looks good that you, our dear readers, might be interested in. Based in part on interesting theoretical bases about organsing and power that have come over from the USA. 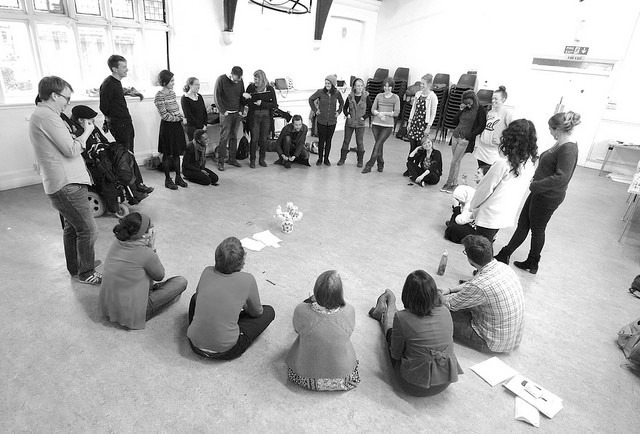 Training offered by Organising for Change. Lots of organisations are talking about the need to complement mass mobilsing (the shallow engagement in most online campaigning for example) with deeper organising, developing people’s agency to transform what people think is possible and grow grassroots movements for change. But this isn’t well understood – so we’ve developed our training to fill that gap. It’s great for people just starting out or wanting to think about how to move to organising, and also has had some great feedback from more experienced organisers who want a refresher / to see how others are teaching this. Hi there – I know the deadline has passed but I wondered if there is any hope of me putting in a late application? Apologies for lateness, I have been away and didn’t realise the deadline. It’s Organising for Change, not us, that are offering this training. Please get in touch with them direct via the links in the blog post.